Jack Bacon has had an extensive career at the forefront of technology, including efforts in artificial intelligence, thermonuclear fusion, space, and globalization of networks and commerce. He currently work at the NASA Johnson Space Center where he has served as systems integration lead of numerous Russian and American spacecraft, including the Zarya’, which was the first element and bridge module of the International Space Station, launched November 20, 1998. It was the only spacecraft ever to be constructed jointly by the U.S. and Russia. His duties have taken him to space development facilities all over the world. Bacon has presented educational and motivational topics on all levels to hundreds of worldwide audiences, and on numerous radio and TV events. To date, he has represented his country in 23 countries on five continents. He is an award-winning author, whose latest book is “My Grandfather’s Clock”: a nonfiction which traces the development of technology and society through 28 known generations of his family, dating from medieval times to today’s permanent human presence in the cosmos. His newest release outlines a vision of the next fifty years, and is called: “My Stepdaughter’s Watch”. He is the grandson of aviation pioneer David L. Bacon (one of the original engineers of the NACA in 1919) and of Grace Dunlap, the second woman technical employee at the NACA. (NACA = National Advisory Council on Aeronautics: the precursor of NASA). Jack is a former sailplane pilot, scuba diver, and skydiver. 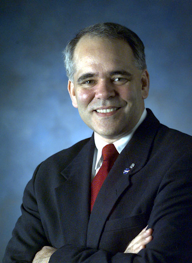 He is a founding member of the Board of Directors of the Science National Honor Society, a Fellow of the Explorers Club, and a Distinguished Lecturer of the American Institute of Aeronautics and Astronautics. He serves on the Advisory Board to the Engineering Academic Program at Texas A&M University at Commerce.